This environmental science experiment is modified from the middle school environmental curriculum. It is excellent for special education students who require an alternate or modified curriculum. 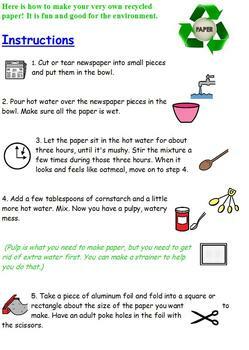 It is a fairly inexpensive project that the kids will love! There is a cover page of the packet where students will put their name. 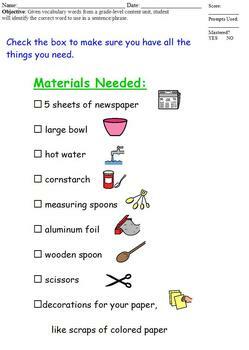 Page two is the materials needed. Boardmaker pictures are provided as a visual. When students have the materials, they check the box to indicate they are ready to move on. Pages three and four are instructions with picture clues. Page five has five questions about the experiment. Students are to choose the correct word to use in each sentence. 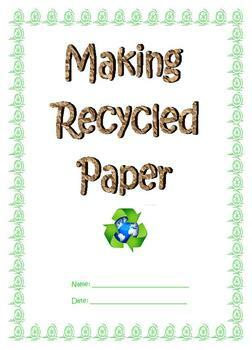 They are required to understand why they recycled the paper. A field of two answer choices per question is provided.